Furnace Maintenance Penn Hills | Schultheis Bros. Here at Schultheis Bros., we have been offering furnace maintenance in Penn Hills for over 70 years. 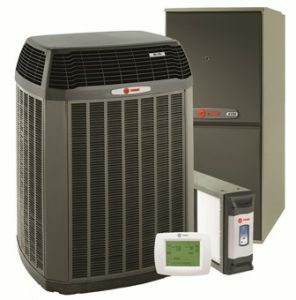 We have a team of extensively trained technicians that have the knowledge and experience to work on any brand of furnace. What sets us apart from our competition is our dedication to providing the highest level of customer service and using and recommending top quality equipment. Maintaining your furnace can help its lifespan and also ensure that your furnace operates properly when you need during those harsh winter months. Regular or annual maintenance also helps identify potential or current issues that need to be addressed. For more information about our furnace maintenance services in Penn Hills or if you have any questions about our other HVAC services, call us today at 412-793-8000. You can also fill out the contact form on this page and one of our helpful associates will get back to you shortly. Our qualified technicians will evaluate your furnace and let you know if any action needs to take place. If your furnace is in need of repair, our technicians will inform you of your options regarding solutions for repairing your furnace. When it comes to the Pennsylvania weather, you don’t want to leave anything to chance, so it is ideal to have your furnace inspected and maintained at least once a year. At Schultheis Bros., we continually work to improve our methods in order to provide high quality HVAC services at affordable prices. If you have any questions about furnace maintenance or would like more information on our other services, call us today at 412-793-8000. Or you can fill out the contact form on this page and we will respond shortly.